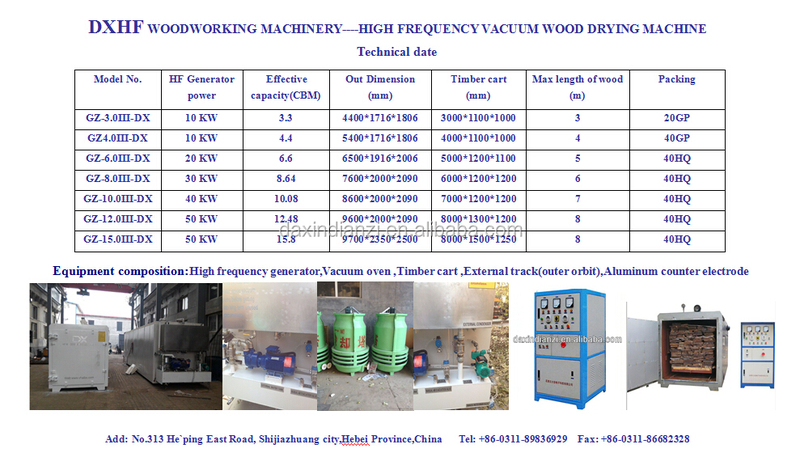 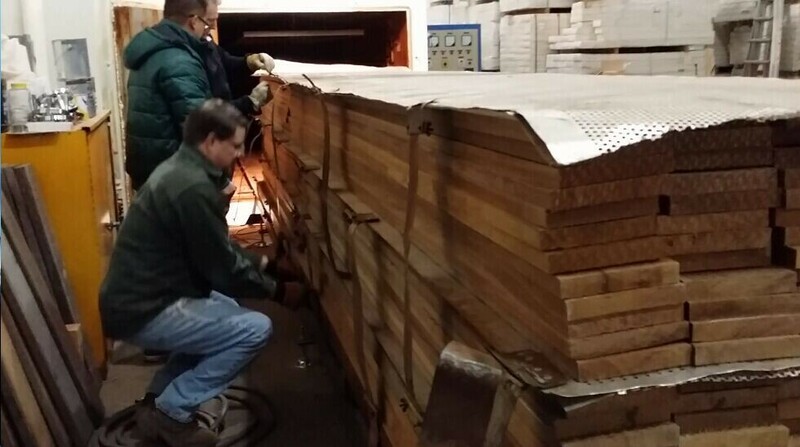 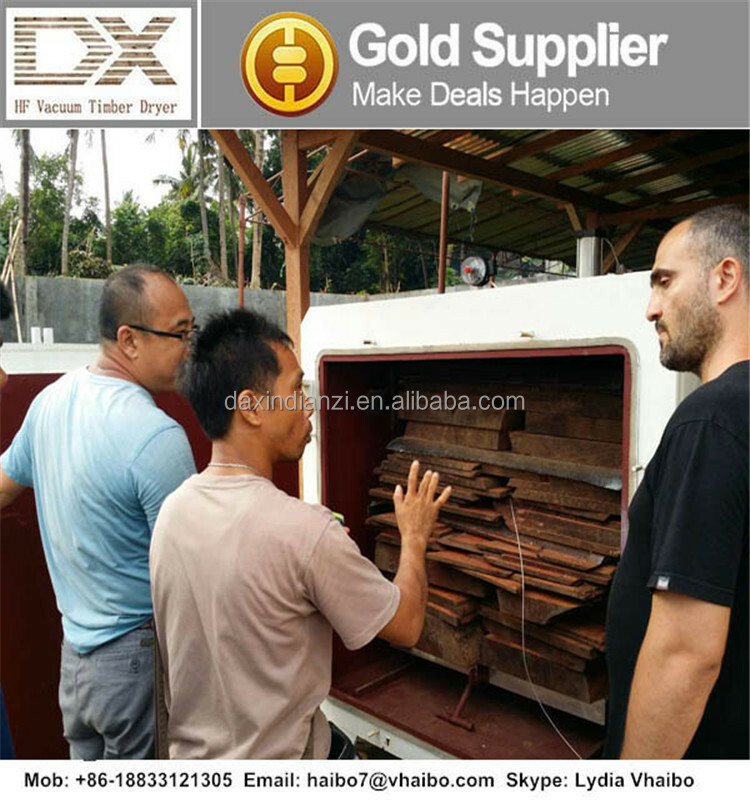 High frequency vacuum wood/timber/lumber drying kiln adopts high frequency drying, inside and outside of wood timber is heated at same time, uniform heating, high speed drying, short time and good quality, which can keep the timber nature color, meanwhile, the timber is aerated under the vacuum environment, non-cracking, especially applied for the thick and hard precious wood, wet wood. 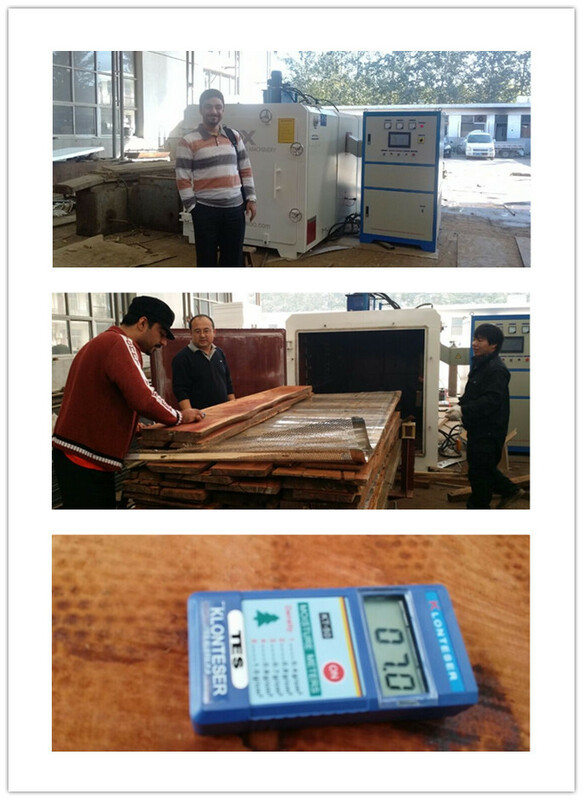 Our Company cooperated with Dongbei Forestry University Developed and manufactured this equipment together in 1998, we owned 3 national patents on this equipment. 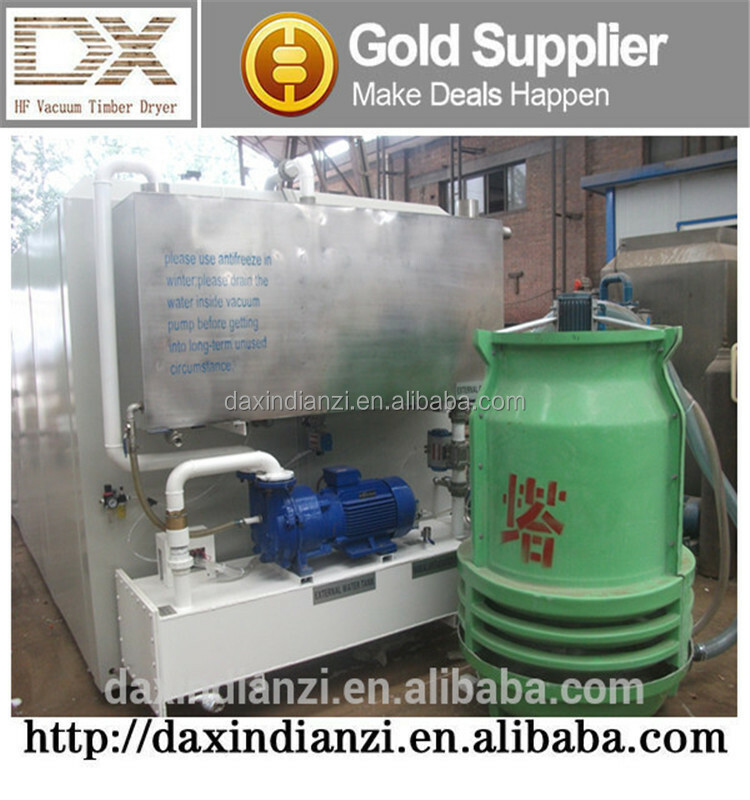 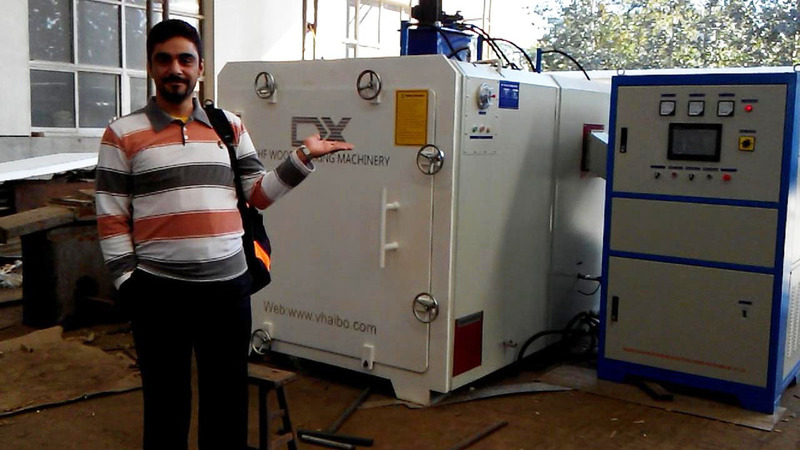 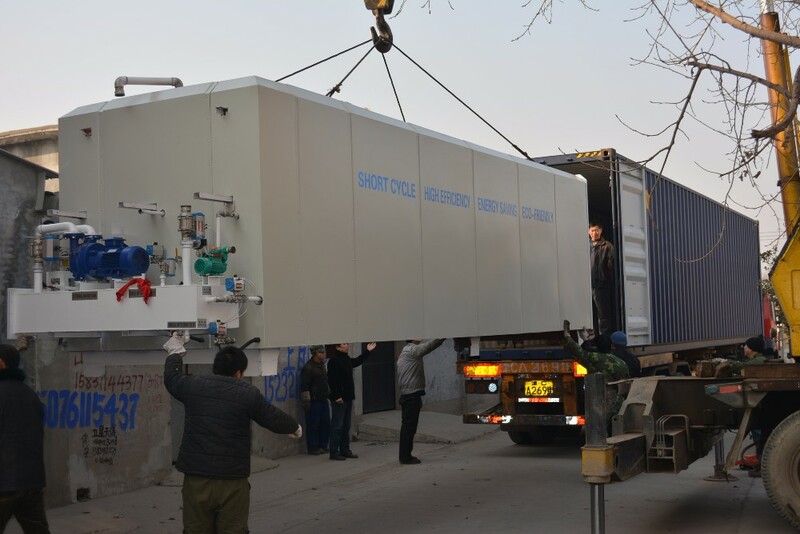 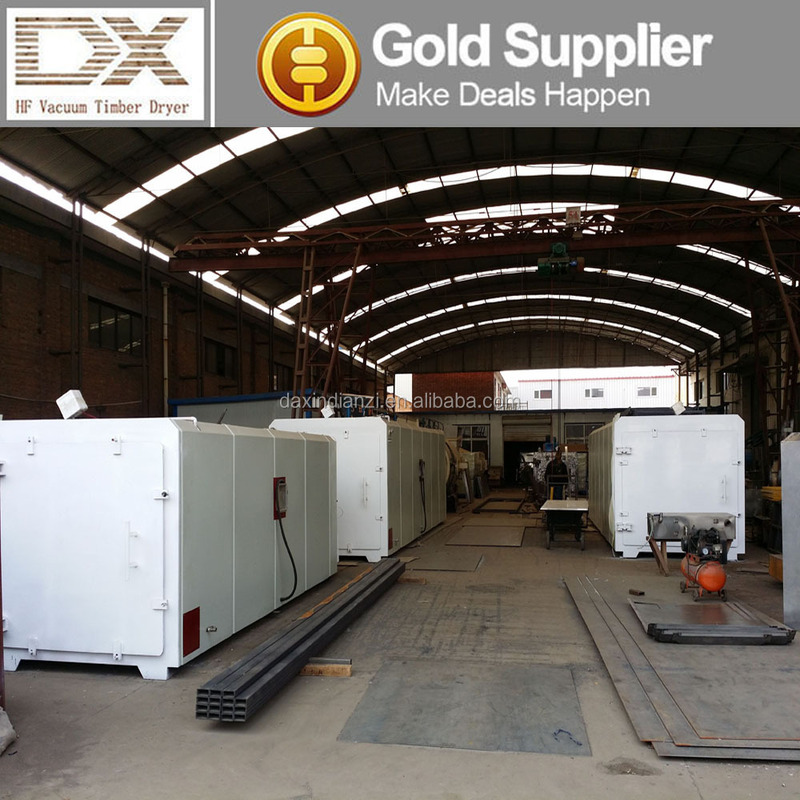 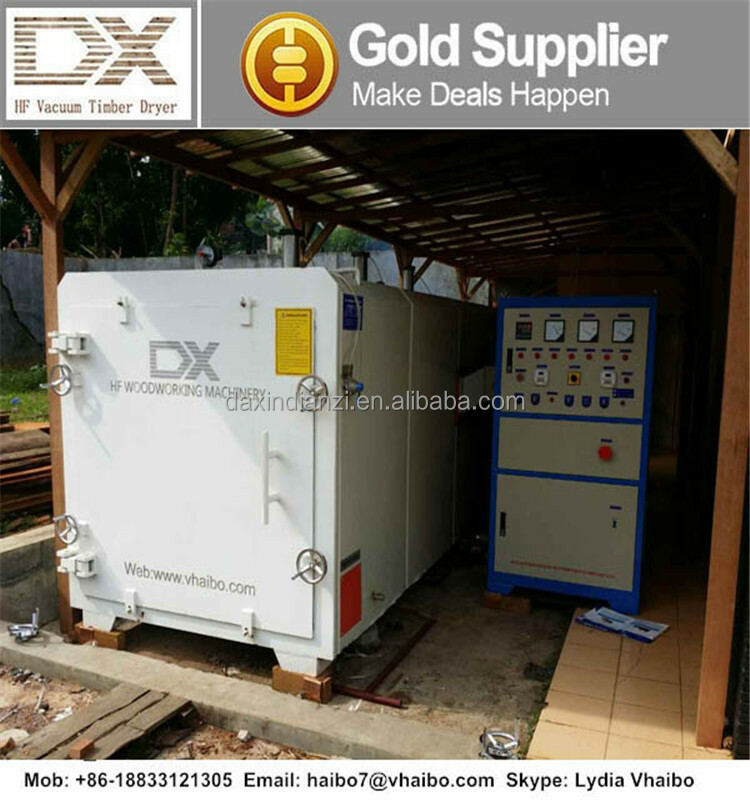 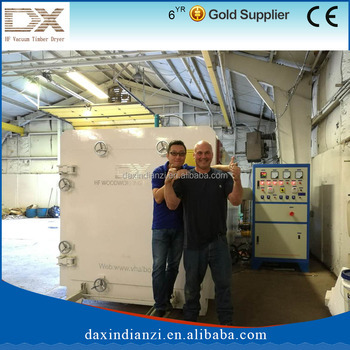 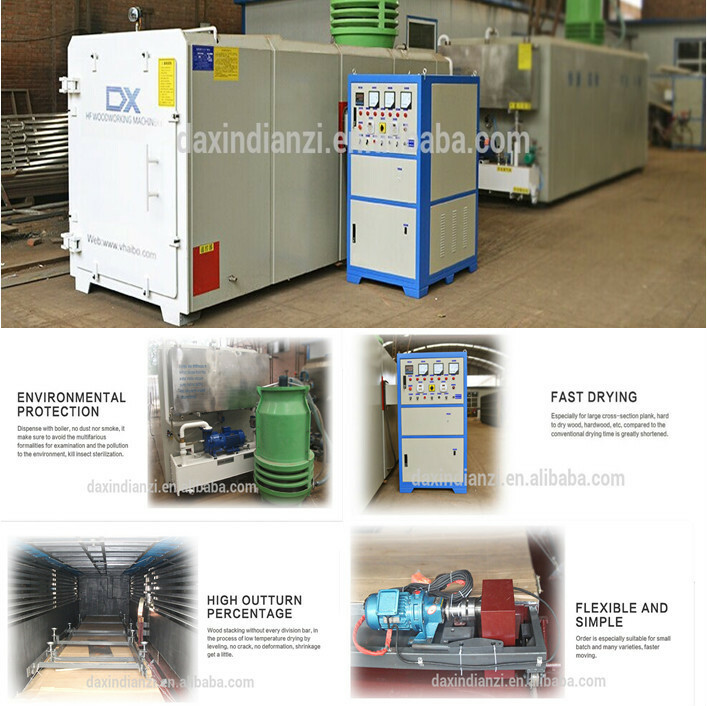 DAXIN is the first producer of this machine in China. 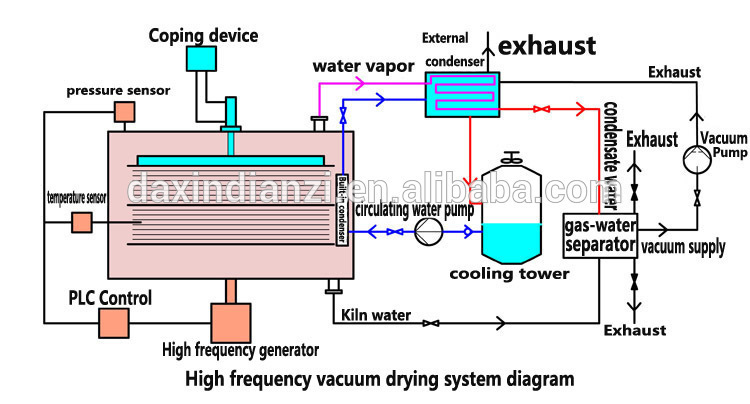 United States, UK, Canada, Uganda, Thailand, Vietnam, New Zealand, Japan, Bulgaria, Iran, Indonesia, Tanzania, Australia etc. 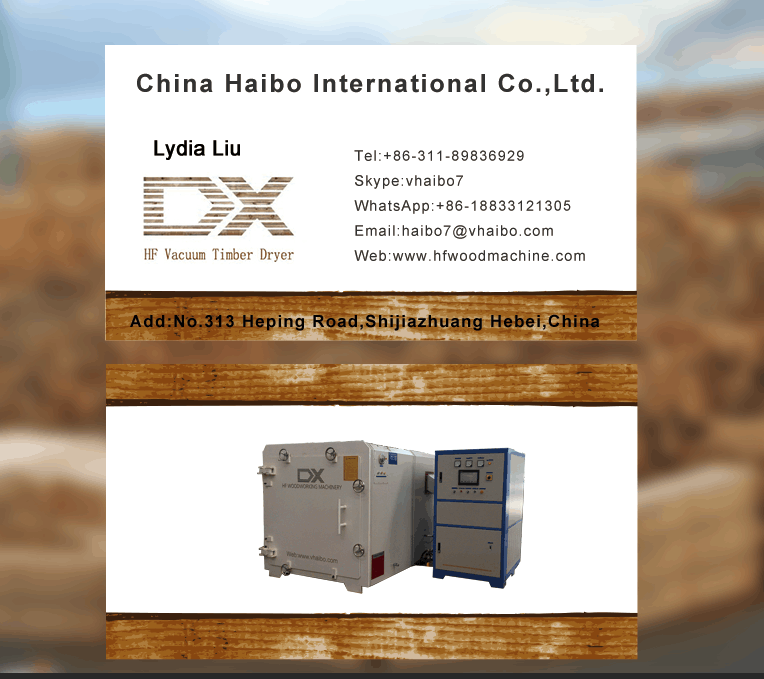 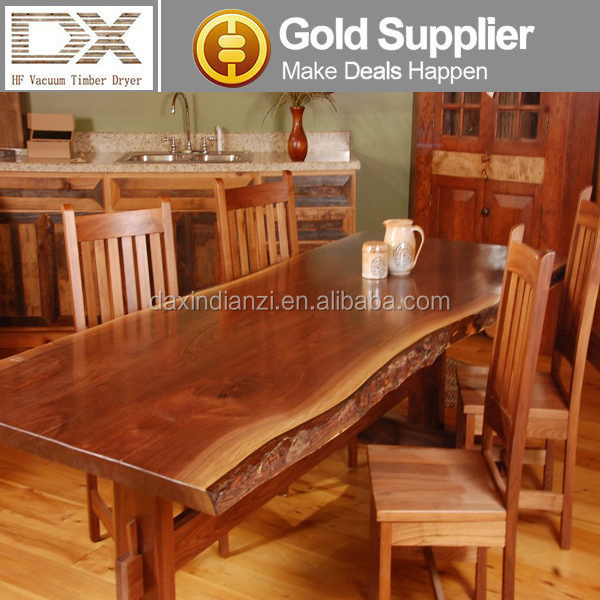 Thank you for visiting our website, pls contact with us freely!